Fall is here (well, almost being as it is still 80 degrees outside) and we are so excited to start experimenting with our closets again! 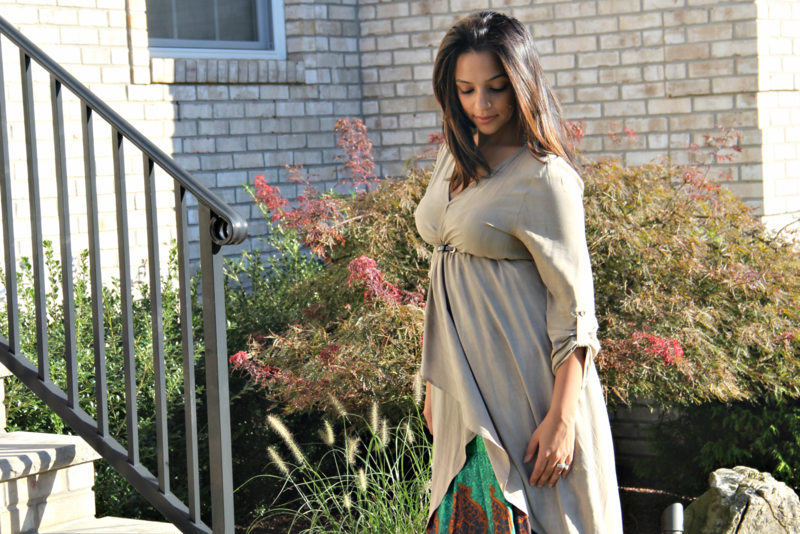 This summer was a hot and humid one, so that indo-wear was far inside our closets as we couldn’t bear the thought of layering on all those clothes in the heat. The crisp air, beautiful colors and multiple layers is just what we were waiting for. 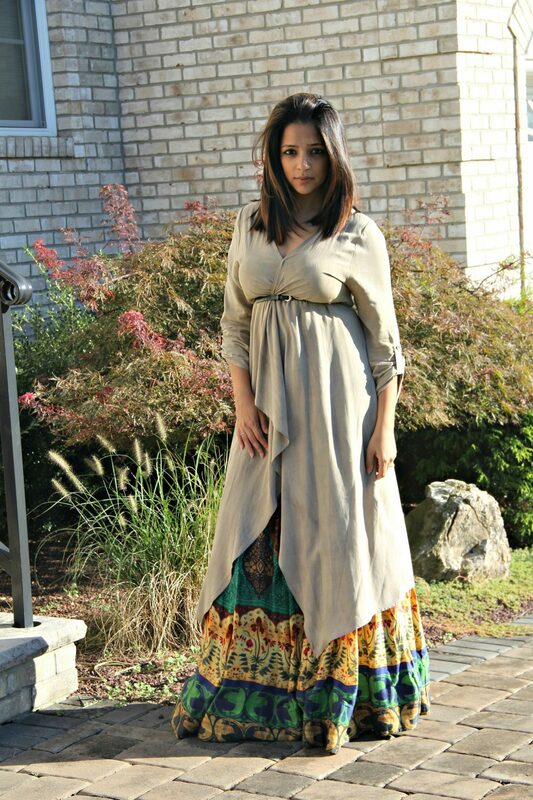 Dipti has been obsessed with these long, light jackets since she was pregnant with Kal! We love that they are so light but so functional and stylish! She was living in these for several months and didn’t want to let go once Kal was here. She decided that it was time to change how she was wearing them and add them to her indo-western looks. 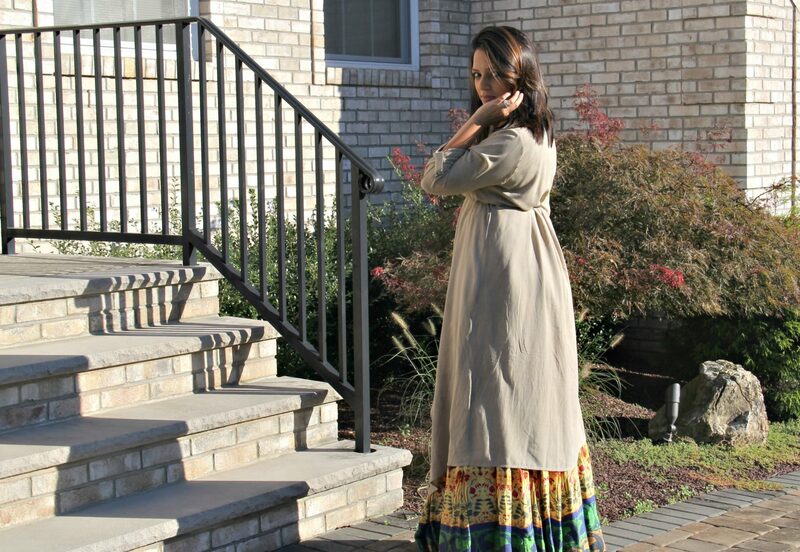 She belted this cream draped jacket on top of one of her Indian outfit skirts. It is super comfortable and makes functioning in Indian clothes bearable (not to mention pumping is a breeze in this number). It was the exact update she was looking for into her Fall looks.